A Dozen Homeless Dogs From Chernobyl Are Being Put Up For Adoption In The U.S.
As Ernest Hemingway might've said: Good dogs, for adoption, minor radiation. 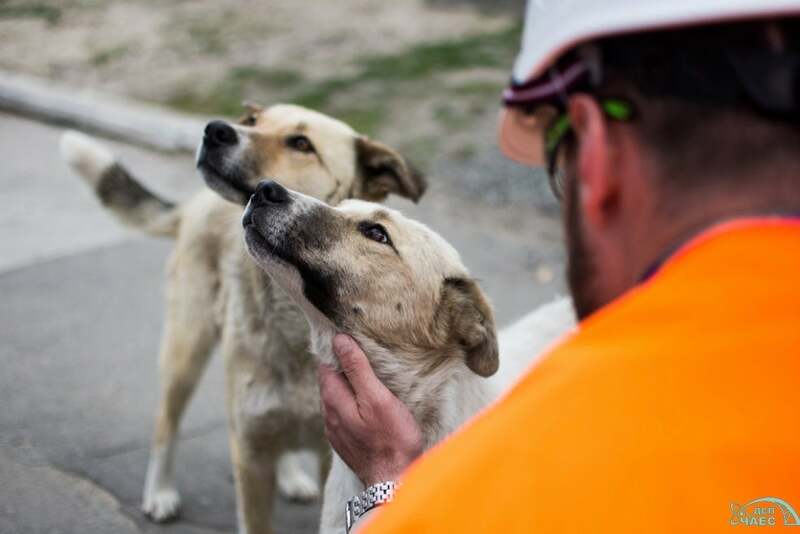 Ukrainian state officials have announced that about 200 dogs from the Chernobyl Exclusion Zone are planned to be put up for adoption in the US, with the first 12 flying out in June. Chernobyl, about an hour north of Kiev, was the site of the world's most notorious nuclear accident in April of 1986, creating an area where humans aren't allowed to travel. 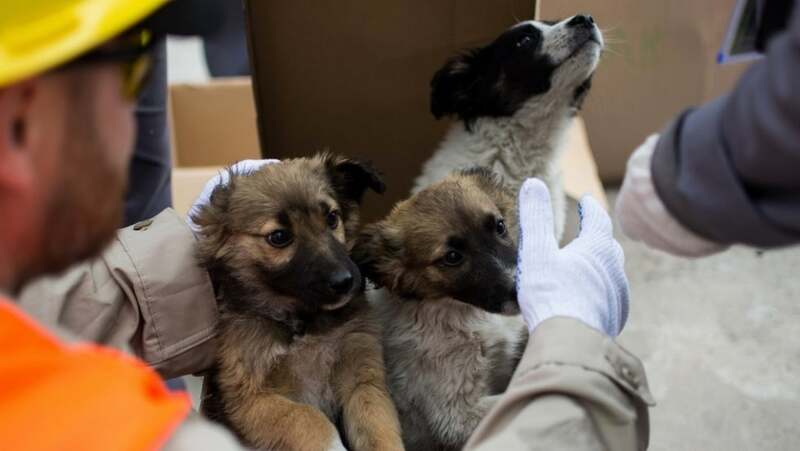 As first reported by the news outlet Meduza, the rescued dogs are being monitored in the city of Slavutych for 45 days before being sent to the U.S. Officials say the pups will be monitored by vets for radiation poisoning and any other abnormalities that may be present. Wildlife in the Chernobyl Exclusion Zone has started to return slowly but surely over the years. According to The Guardian, the hundreds of stray dogs that inhabit the zone are mainly descended from pets that had to be abandoned in the area after Chernobyl was evacuated in 1986. "We have rescued the first puppies, they are now in our adoption shelter going through the quarantine and decontamination process," Lucas Hixson, co-founder of the U.S.-based Clean Futures Fund, told Gizmodo via email. "The goal is 200 dogs, but will likely be more in the long run. My hope is to get 200 dogs rescued and adopted in the next 18 months and then go from there." The Clean Futures Fund estimates that at least 250 stray dogs are permanent residents of the Chernobyl Exclusion Zone, with many more wandering in and out on any given day. "Out of desperation, not desire, the nuclear power plant has hired a worker to catch and kill the dogs, because they don't have the funds available for any other option, but the worker is refusing to do so at this point," Clean Futures Fund says on its website. "CFF needs your help to avoid this intolerable and inhumane outcome." There's no word yet where the dogs will be put up for adoption, let alone whether it will be publicized that the dogs are from Chernobyl. But if you adopt a dog and find out that it has some kind of superpowers, let us know.